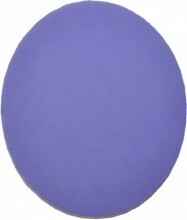 The Purple Podiatry Pads have been designed by farrier & educator Mark Plumlee of Mission Farrier School for the treatment of acute laminitis. The benefit of the 3P pads is that they are easy to apply and once on, the horse can go several weeks without the pads having to be maintained. Once you get the impression material applied and trimmed behind the sensitive border of P3, you can cut one pad to fit in the caudal part of the foot over the impression material and then place a full pad over the entire foot. 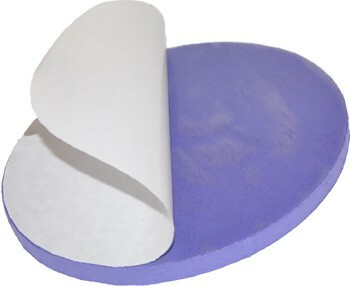 To ensure a longer lasting attachment, run a few wraps of Elastikon™ tape over the pads and around the foot. This treatment will allow the horse to stabilize and hopefully minimize the long term affects of the disease. In addition to Laminitis First Aid, the 3P pads are great for temporary cushioning under a sore foot, while the opposite foot is being worked on. You can also tape piece of a 3P pad under the heel of a the foot to test if they will appreciate some elevation, before you go the work of building the shoe & pad. Whether you are looking for a durable First Aid Treatment or a temporary support pad, the 3P pads are an extremely useful product to always have on hand.